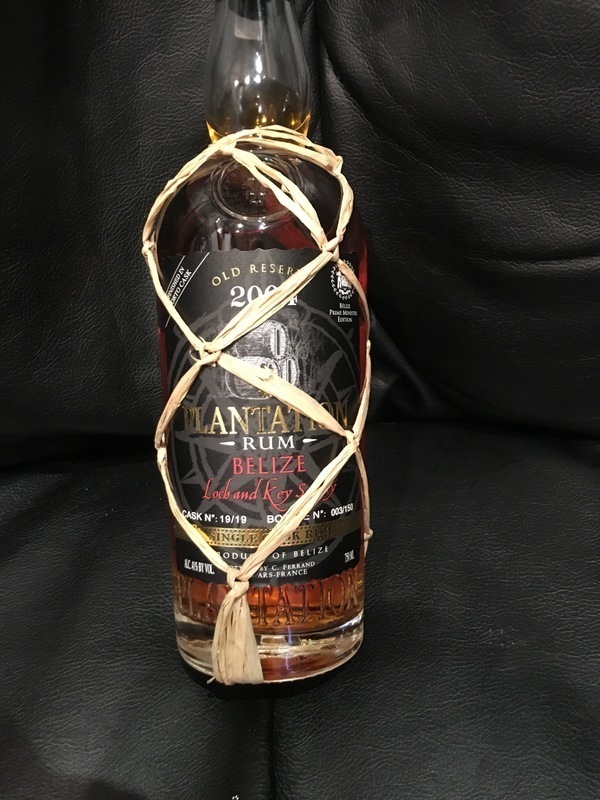 Have you found an online vendor selling Plantation Belize XO Single Cask Porto Finish 2004? Plantation Old Reserve Belize 2004, Cask & Cooper of Washington, cask no 18/19, bottle 355/450. 41% ABV. Unlike today's Plantations, there are no notes on aging regimen (how old is this thing, anyway? ), aside from "finished in Porto cask." Lovely nose. The port finish is evident, and reminiscent of Foursquare's famous Port Cask Finish. Port, brandy, caramel, oak, sugar. Surprisingly woody on the palate. Definitely the woodiest Plantation I've ever had. Fairly astringent as well. But that Plantation profile and Port finish help to round out out very nicely, perhaps not unlike a sherried whisky (I wouldn't really know). I quite like it. Dryer than other Plantations I’ve tried and that’s a good thing. Pleasant sweetness after slight peppery warmth that lingers. Very nice smell, even of port. Picked this up as a close out. No idea why this would not sell. Nice smooth sipper. Tasted just once, gives a little different flavor to a generally great Plantation rum.